Location, Location, location in Hillandale Heights, this large corner lot split foyer is ready for a buyer with an interest in building equity. There are some cosmetic touches needed but this is a great home, in good condition, in a great community. 3 bedroom, 2.5 bath, with eatin kitchen, finished basement, deck, main floor oversize family room w/ fireplace. This was a 4 bedroom home which was convered to 3 bedrooms many years ago but it could be returned to 4 bedrooms. The family room 14X26 offers a brickwall with fireplace, hearth and easy access to the driveway. The eatin kitchen offers sliding doors to deck which offers a wonderful view of the large fenced in yard. The finished basement is very large with a generous storage room, cozy office and half bath. You can exit the basement onto a long patio which leads into the back yard. 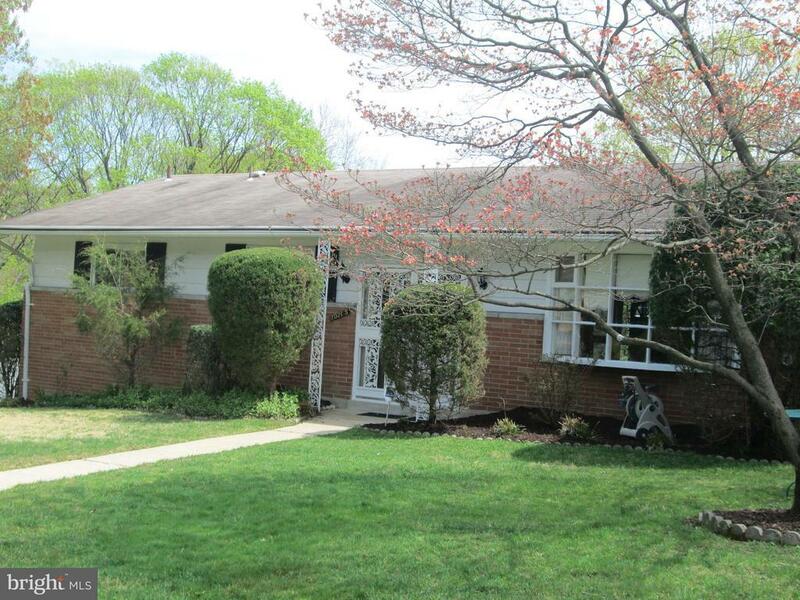 The home is situated on a corner lot which has several trees and is located across from the commuter bus stop. This community is within a mile of 495 New Hampshire Ave, easy acess to 95, RT 29, Walking distance to White Oak Shopping Center, FDA. Directions: New Hampshire Ave to Chalmers left onto Royal go to a right onto Dunoon. Left onto Mcgovern and house on the corner of McGovern and Dunoon. © 2019 BRIGHT, All Rights Reserved. Information deemed reliable but not guaranteed. The data relating to real estate for sale on this website appears in part through the BRIGHT Internet Data Exchange program, a voluntary cooperative exchange of property listing data between licensed real estate brokerage firms in which Tristar Realty, Inc. participates, and is provided by BRIGHT through a licensing agreement. Real estate listings held by brokerage firms other than Tristar Realty, Inc. are marked with the IDX logo and detailed information about each listing includes the name of the listing broker. The information provided by this website is for the personal, non-commercial use of consumers and may not be used for any purpose other than to identify prospective properties consumers may be interested in purchasing. Some properties which appear for sale on this website may no longer be available because they are under contract, have Closed or are no longer being offered for sale. Some real estate firms do not participate in IDX and their listings do not appear on this website. Some properties listed with participating firms do not appear on this website at the request of the seller. Data last updated on 2019-04-22.